With the Alberta Teachers’ Convention underway, local facilities and services are offering day camp programs for children to stay active in educational and recreational activities throughout the week. Similar to day camps available in the summer, youth and children can enjoy unique, indoors experiences at affordable rates throughout the city from Monday, February 25 to Friday, March 1, 2019. The following is a compiled list of day camps available in Fort McMurray. Registration costs and availability varies. For more information, please contact the day camp provider directly. The Suncor Energy Centre for the Performing Arts and UpTown! Music & Dance is offering a Creative Campers program with morning, afternoon and full-day options for children aged three to 10. Here, they will enjoy a week of dance, drama, art and fitness. There are three different art styles for children to choose from including dance, drama and visual art. Each program will also include at least an hour of fitness as recommended by the Department of Health and Human Services. For campers trying out the program for the first time, Durocher also shared they can expect to make new friends and explore their imaginations. “New-comers can expect to see how far their imagination can take them to learn and work as a team, make new friends and fall in love with the Arts,” UpTown! Music & Dance Assistant Manager Alexandra Durocher said. 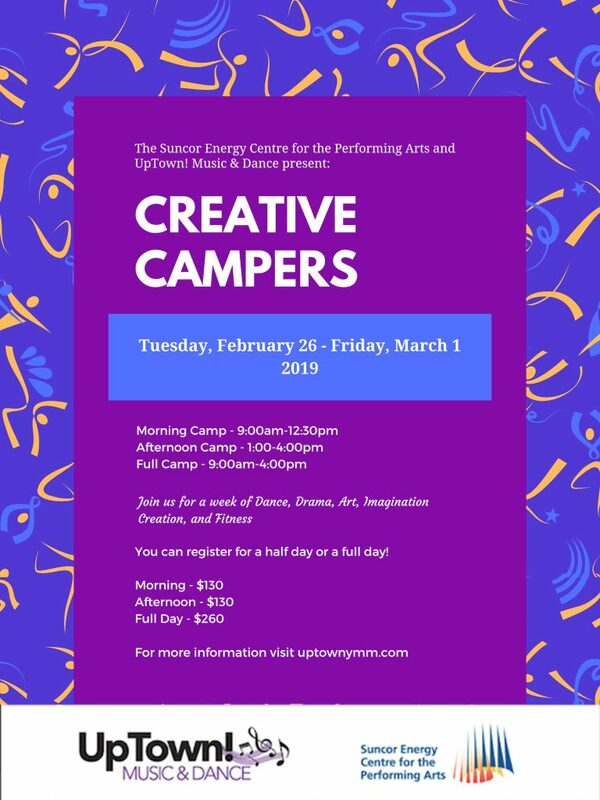 As an additional perk, children who participate in Creative Campers will gain access to UpTown! Music and Dance’s pre-registration for programs which takes place annually in September. They have various dance classes for residents aged three to adult. Click HERE to learn more. Time: Full Day – 9 a.m. to 4:30 p.m., Morning – 9 a.m. to 12:30, Afternoon – 1 p.m. to 4 p.m.
Drop-off opportunities are available at 8 a.m. with pick up until 4:30 p.m. Children must also bring lunch and snacks. 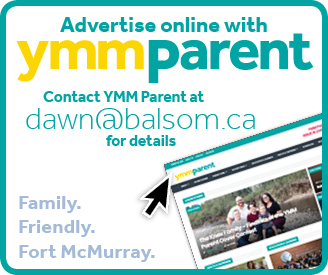 For more information on Creative Campers or to register for a program, visit www.uptownymm.com. Early Start Learning Centre introduces Early Start Explorers in partnership with Fort City Play World for a limited-edition morning camp opportunity for children aged three to seven with a curriculum and lessons designed to develop co-operation, friendship skills, fine-motor skills and gross-motor coordination. “We incorporate art, music, life-skills and use the power of play,” explained Kimberley Matchem of Early Start Learning Centre. During the camps, children will be directed and supervised by two Early Start Teachers. Although full-day programs are not available, organizers are offering a ‘Stay & Play’ option after the camp concludes for all participants. With parent supervision, campers can stay to keep playing and enjoy a hot dog and juice box for an additional $10 per day. Time: Morning – 9:30 a.m. to 12:30 p.m.
Every child must be potty trained to attend and asked to bring socks, nut-free snacks, a water bottle and change of clothes with all items labelled. 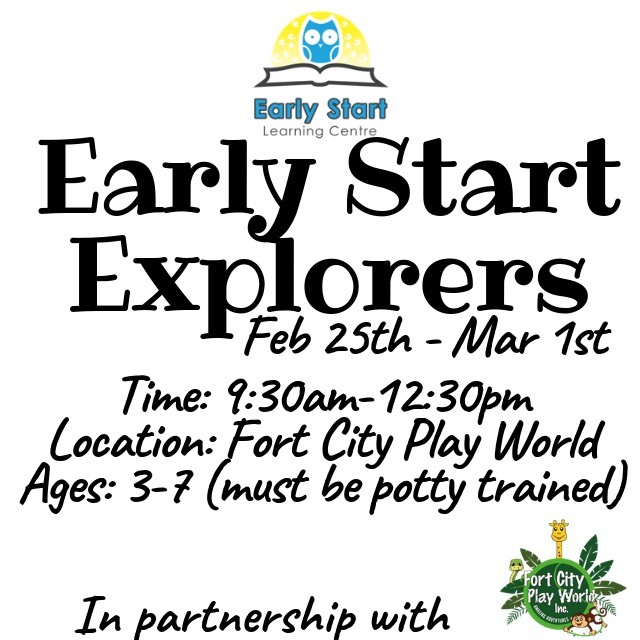 For more information on Early Start Explorers or to register, click HERE. Multiple day options are available. A $50 non-refundable registration fee is required per child. 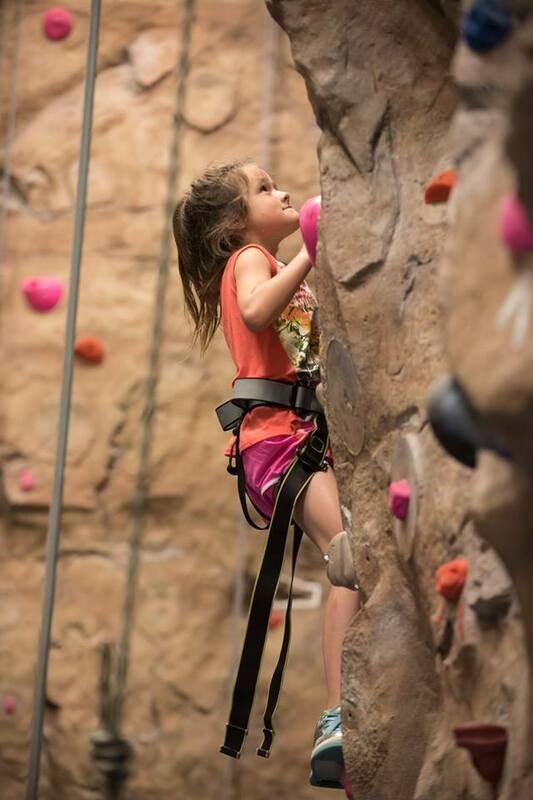 MacDonald Island Park is hosting Winter Sports Camps for youngsters to engage, entertain and exercise through winter-themed activities which also include rock climbing, aquatics fun and scavenger hunts. Supervisor of Sports Services at Regional Recreation Corporation of Wood Buffalo Heather Bourgeouis explained participants can expect to have “fun and form many new friendships” during the full-week program. Time: Full Day – 8 a.m. to 5 p.m. Cost: Full Day – $195 (members) and $215 (non-members) with no meal option. $245 (members) and $265 (non-members) with meal option. To learn more about programs and age group availability, contact Guest Services at 780-791-0070. Participants will also have access to all the facilities available at MacDonald Island Park. Click HERE to register online. Children can enjoy a week of fun-filled activities with the Westwood Family YMCA. 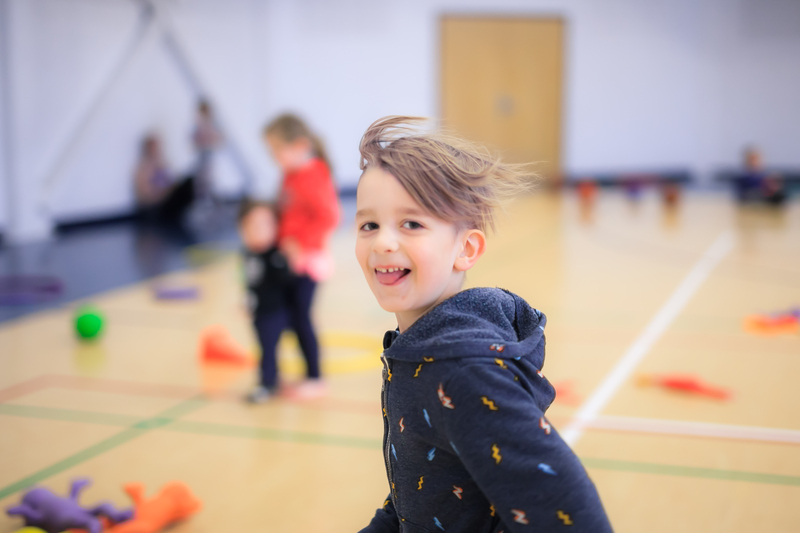 Through YMCA Healthy Child Development, participants will further learn physical literacy skills and complete daily physical activity requirements. The camps are designed to “spark the imagination, confidence, independence and communication skills” of all their campers. Cost: Full Day – $190 (members) and $210 (non-members). For registered campers, pre-camp care (7 a.m. to 8:30 a.m.) and post-camp care (4:30 p.m. to 6 p.m.) will be made available at no extra cost to allow flexibility for family schedules. Also, every child must bring their own lunch and snacks. Financial assistance is also offered for all the camp programs as part of Y’s mandate to “make all programs accessible to all.” To learn more about Spring Break Camp, click HERE and to register for the Teachers’ Convention Day Camp, drop into the Westwood Family YMCA or phone 780-790-9622.